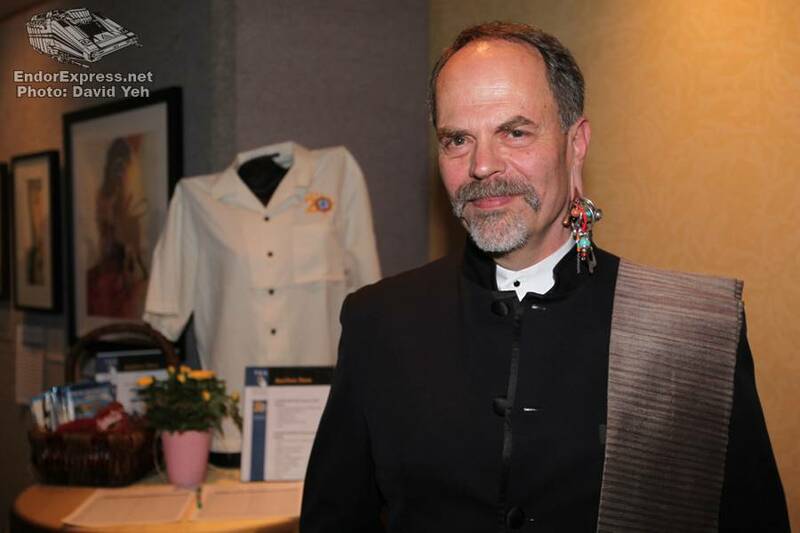 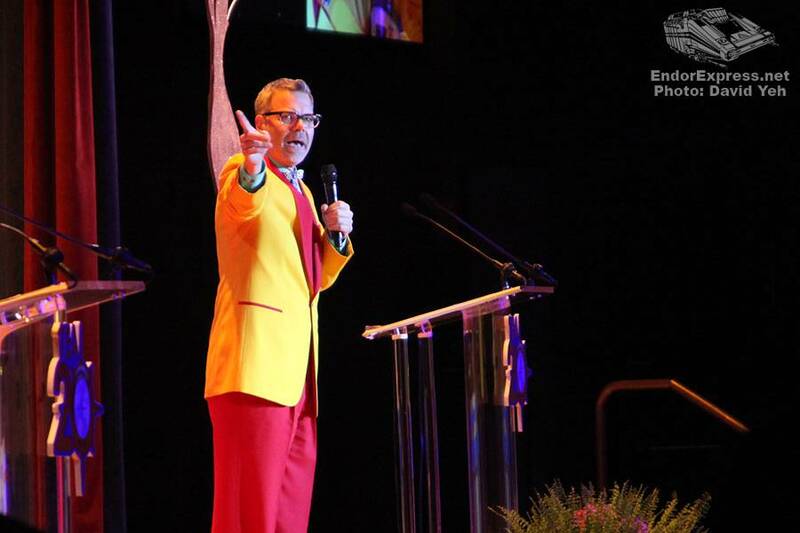 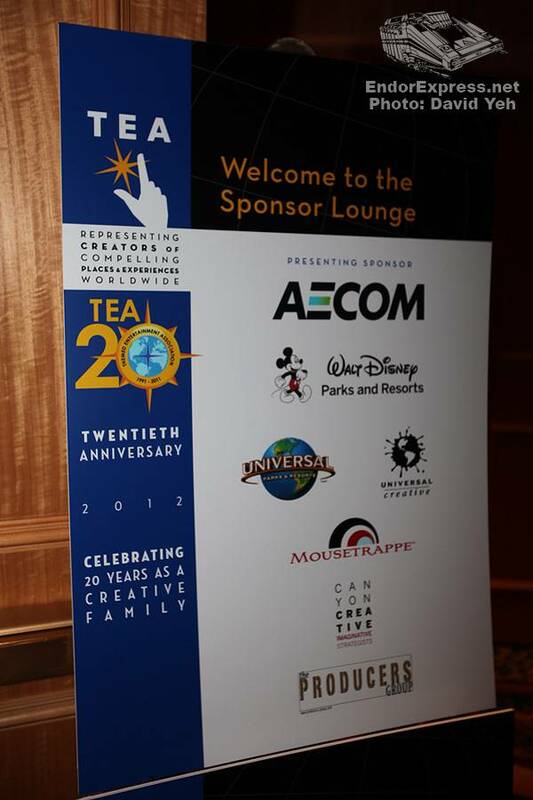 This weekend, the TEA (Themed Entertainment Assoiation) celebrated its 20th anniversary in grand fashion at The Disneyland Hotel in Anaheim, California. 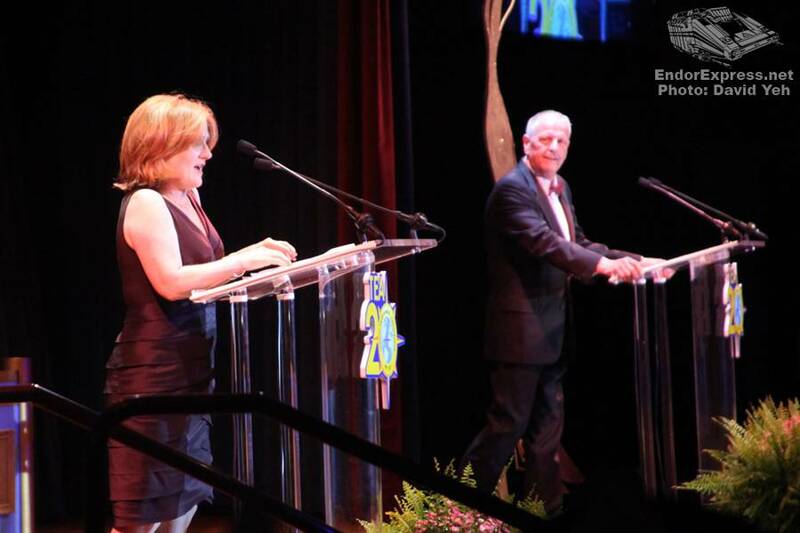 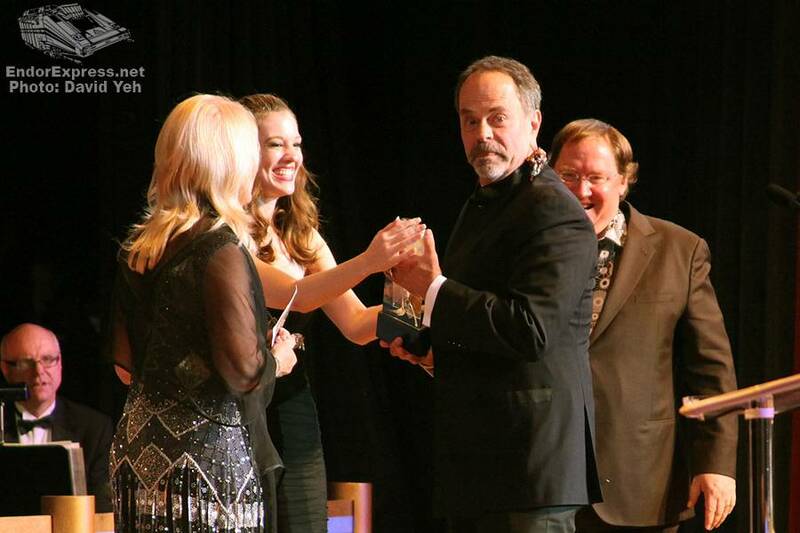 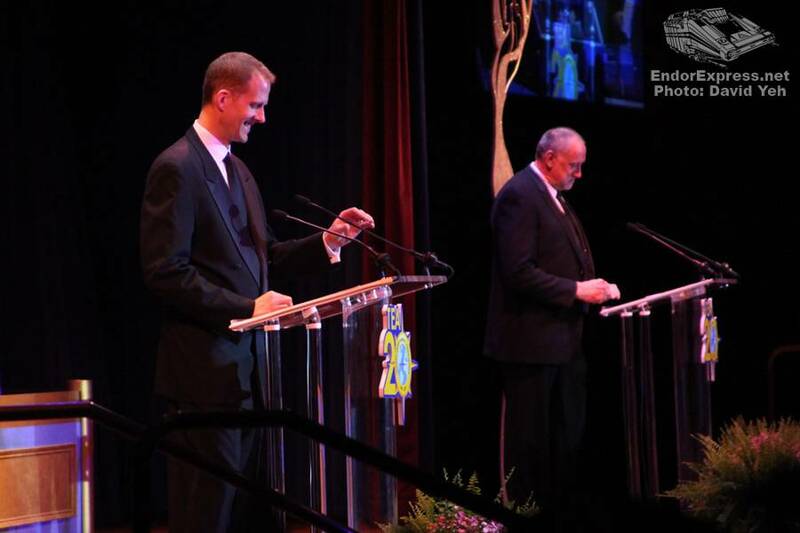 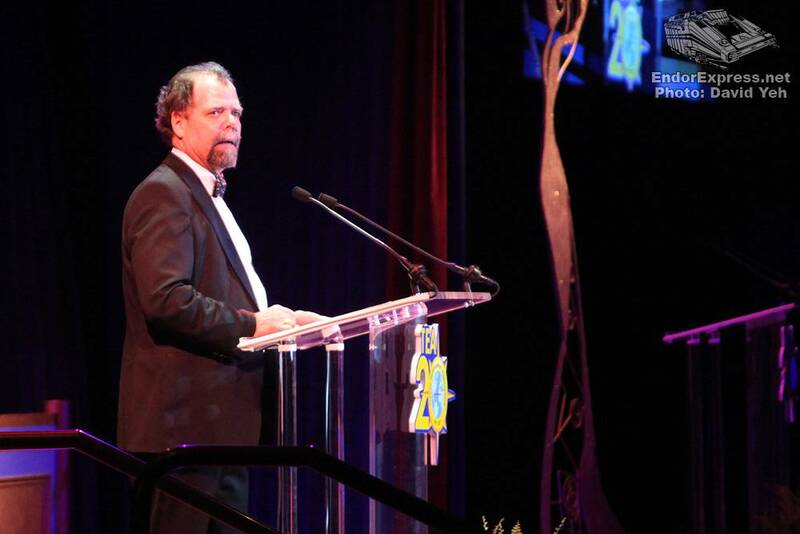 What began as several workshops and networking experiences capped with the grand finale: The 2012 THEA Awards. 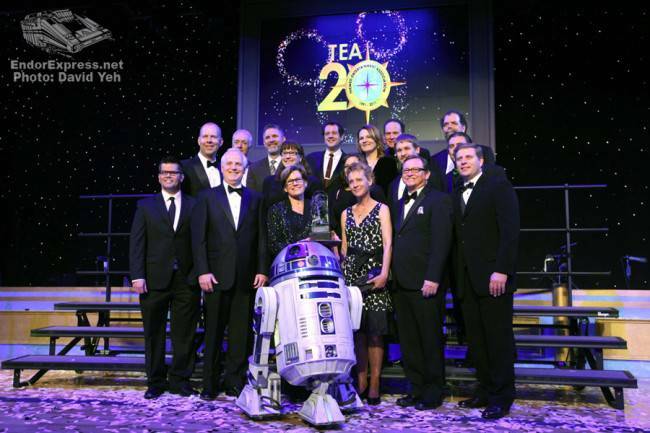 The TEA organization, representing creators of compelling places & experiences worldwide, honored several wonderful experiences around the world, including our favorite, Star Tours – The Adventures Continue. 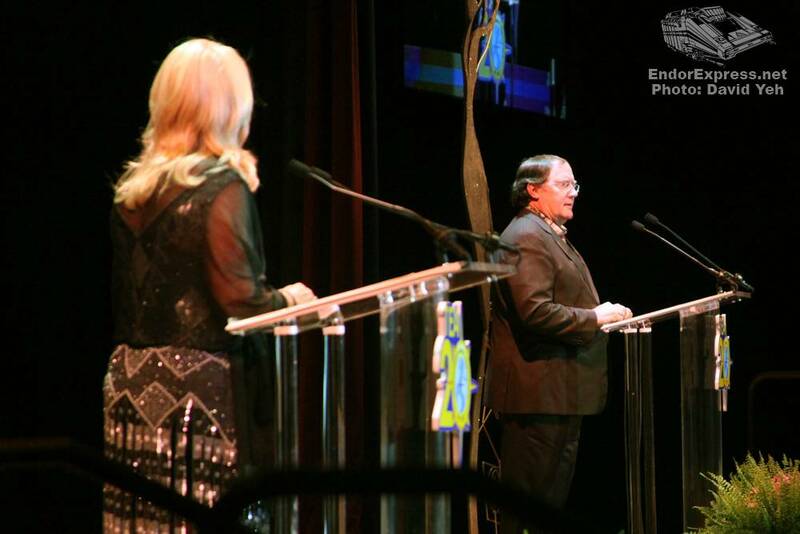 The THEA Award, first of all, is a play on three words. 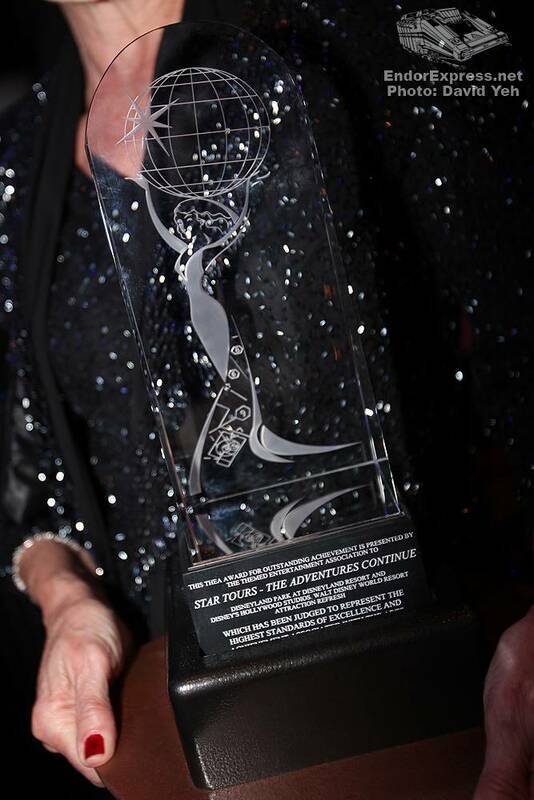 “Thea” is The Greek goddess from whom all light emanates. 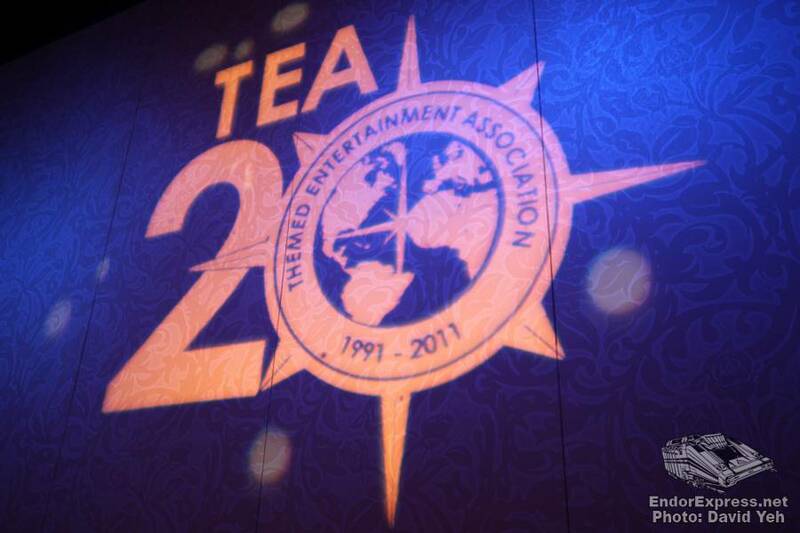 The second word is “Theater”, and the third is of course, the name of the organization, TEA. 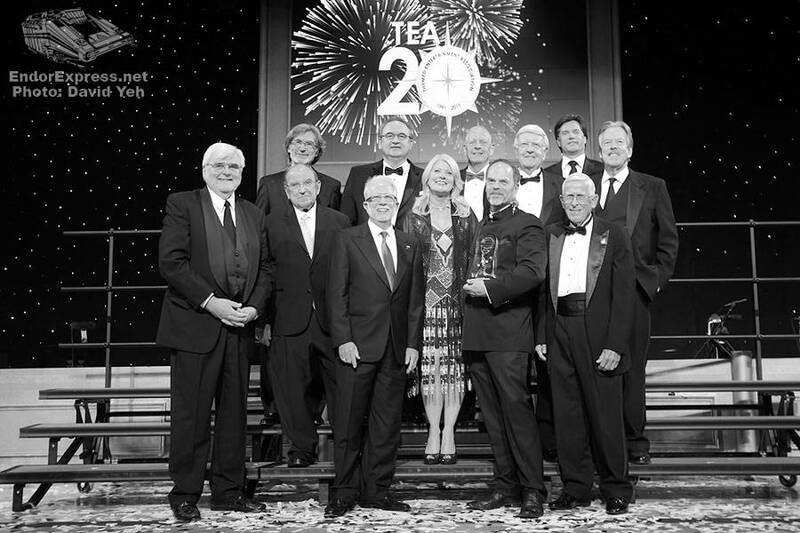 And while TEA is celebrating its 20th anniversary, this is only the 18th awards ceremony and its key objective is to find excellence and to celebrate it. 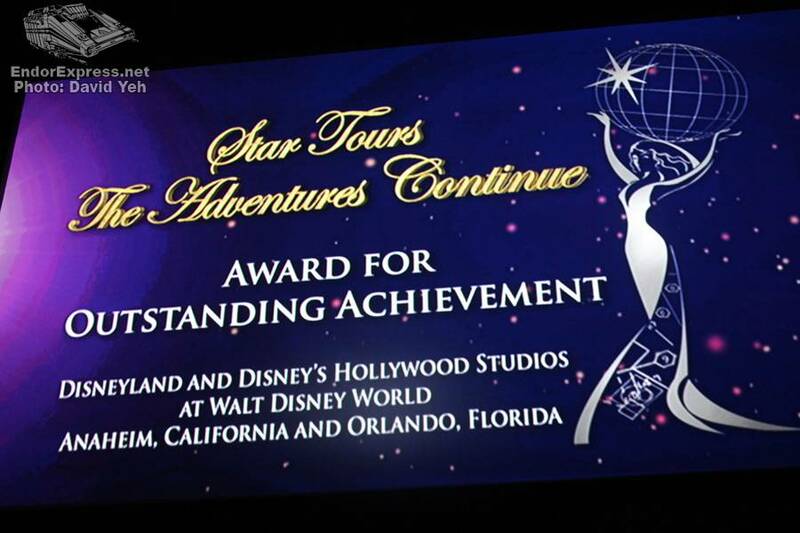 Star Tours – The Adventures Continue at Disneyland and Disney’s Hollywood Studios is honored this year with the THEA Award for Outstanding Achievement. 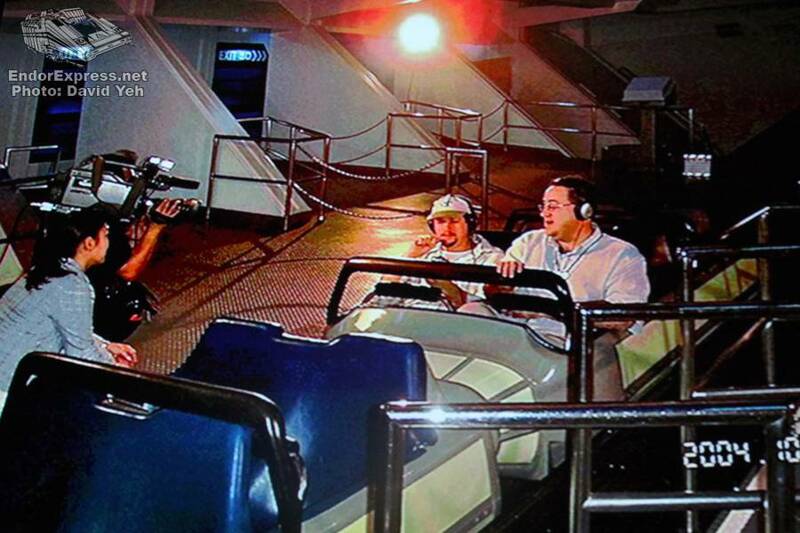 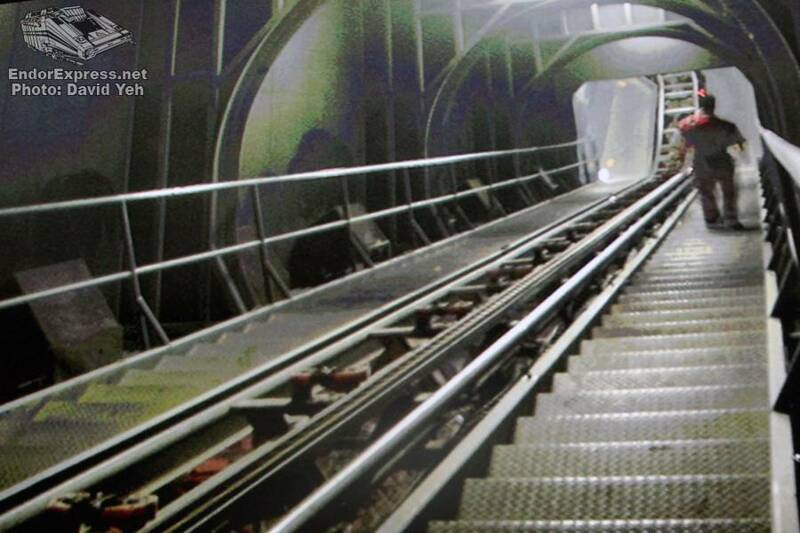 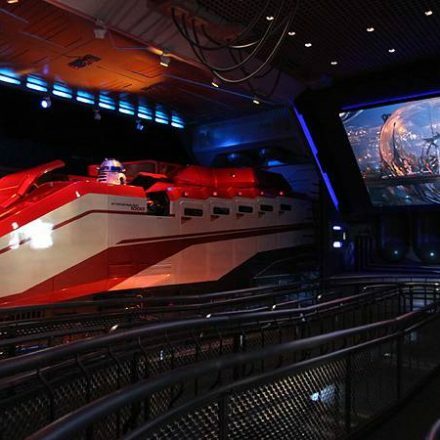 The complete re-imagining of the classic attraction and its unique ability to provide varied experiences for the guests make this a first of its kind. 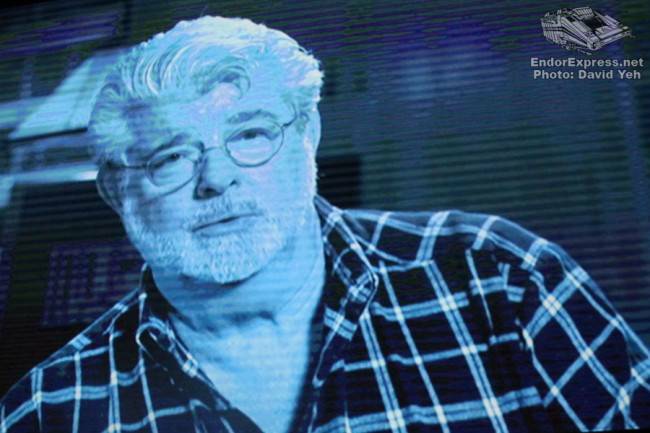 A branching story structure employing multiple destinations and characters give Star Tours 54 potential show experiences resulting in a dramatic increase in attraction repeatability. 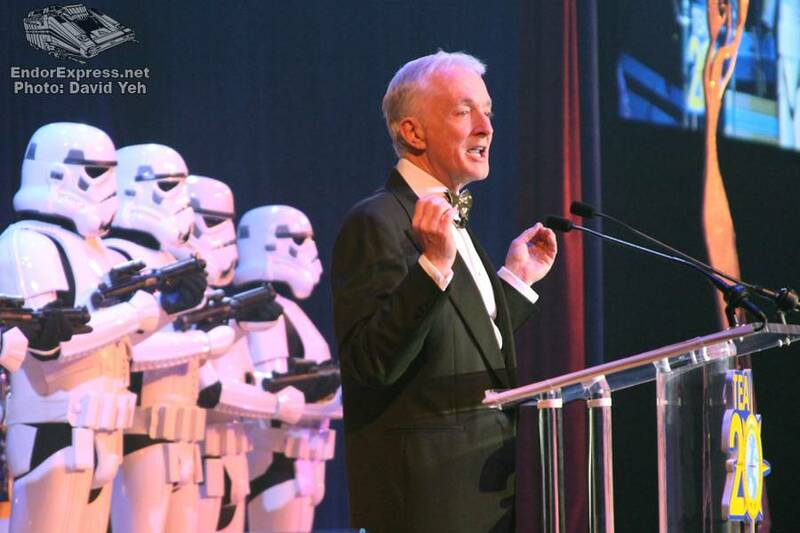 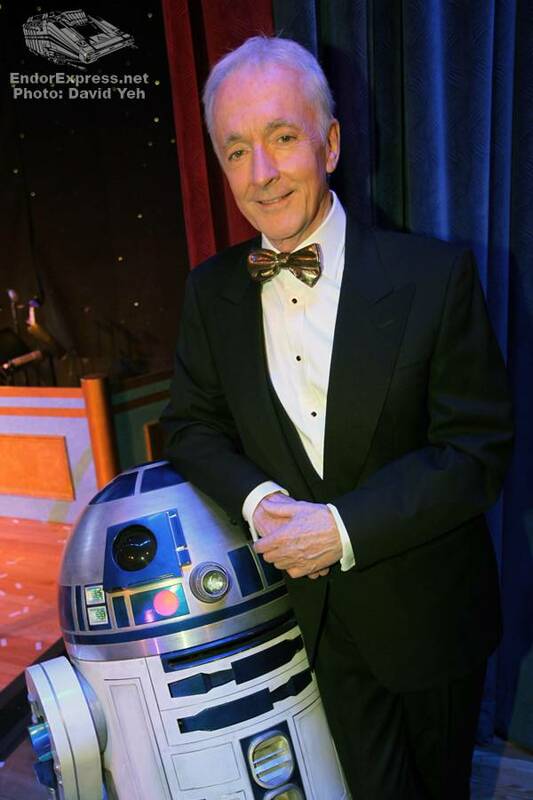 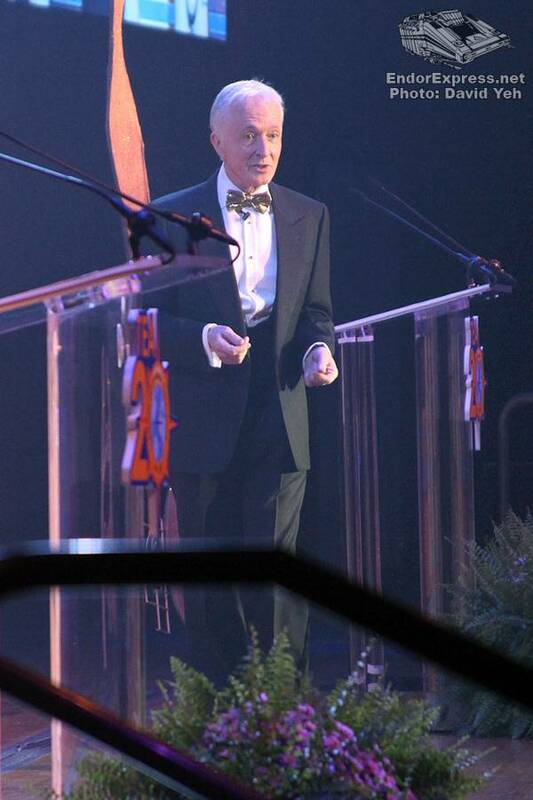 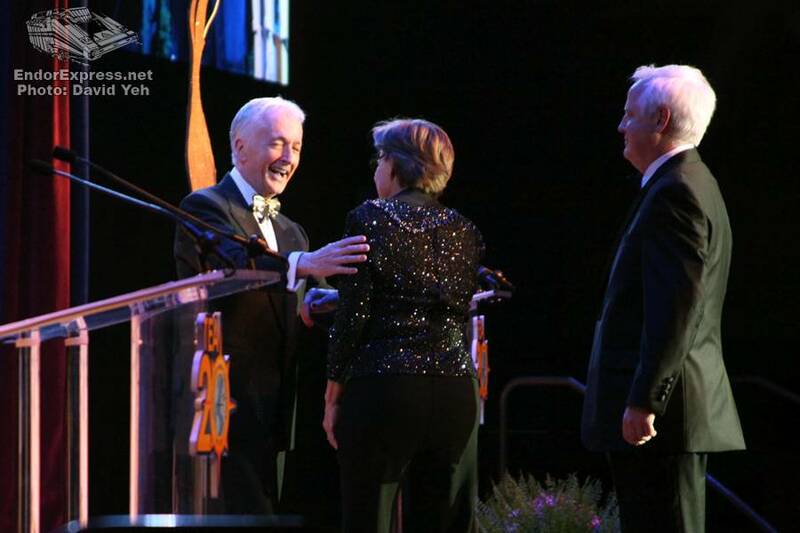 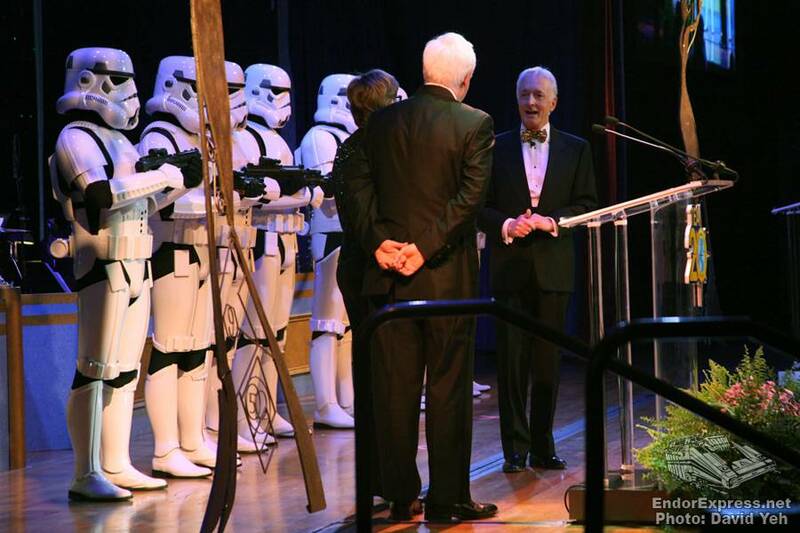 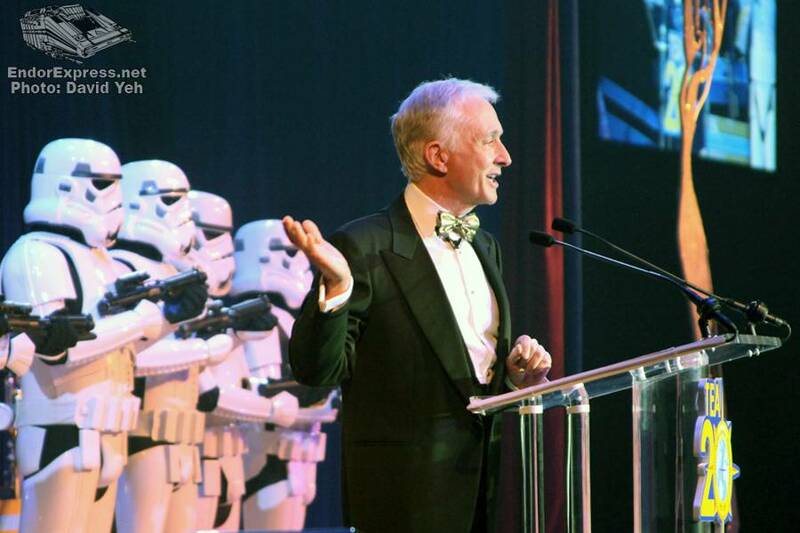 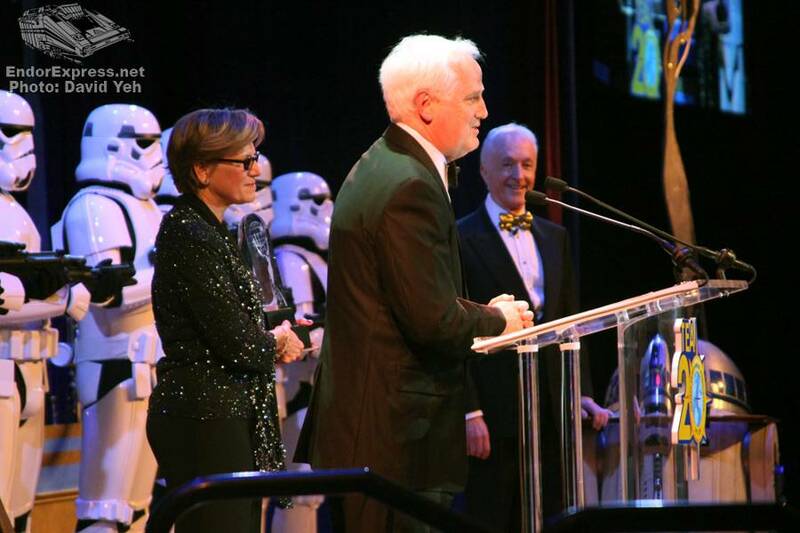 The voice and man behind C-3PO, Anthony Daniels, flew out from London to present the THEA award to Imagineers Tom Fitzgerald, Executive Vice President Senior Creative Executive and Kathy Rogers, Show Producer Senior Director. Members of The Southern California Garrison of the 501st Legion were also on hand to show their support, with R2-D2 presenting the award. While George Lucas could not attend in person, he did send his transmission congratulating the Star Tours team for a job well done. 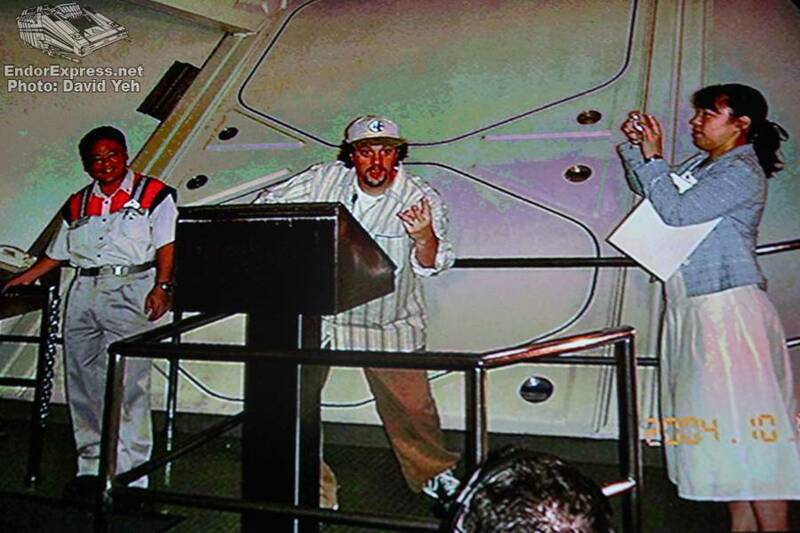 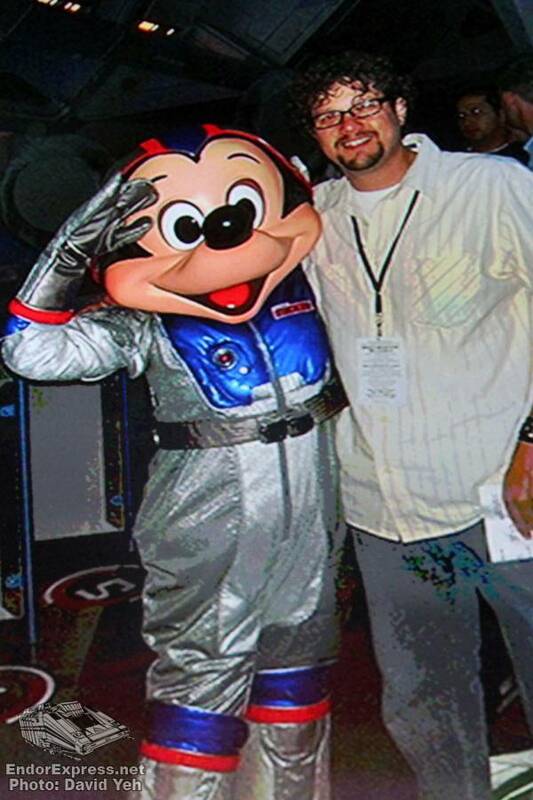 Other highlights of the program included Star Tours composer Michael Giacchino providing attendees with an inside look at creating the music for Space Mountain. 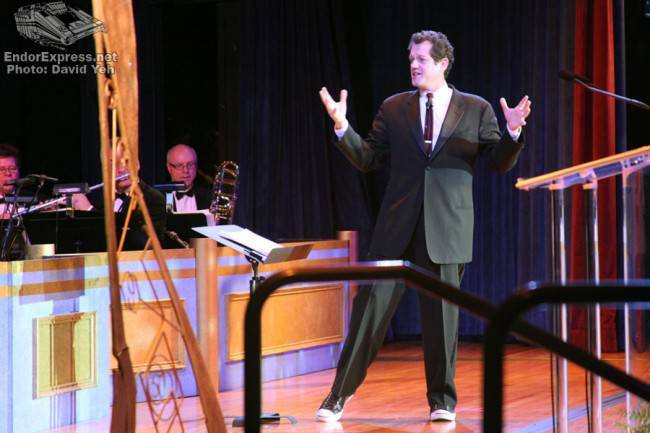 He also paid tribute to the talented Robert B. Sherman who recently passed away. 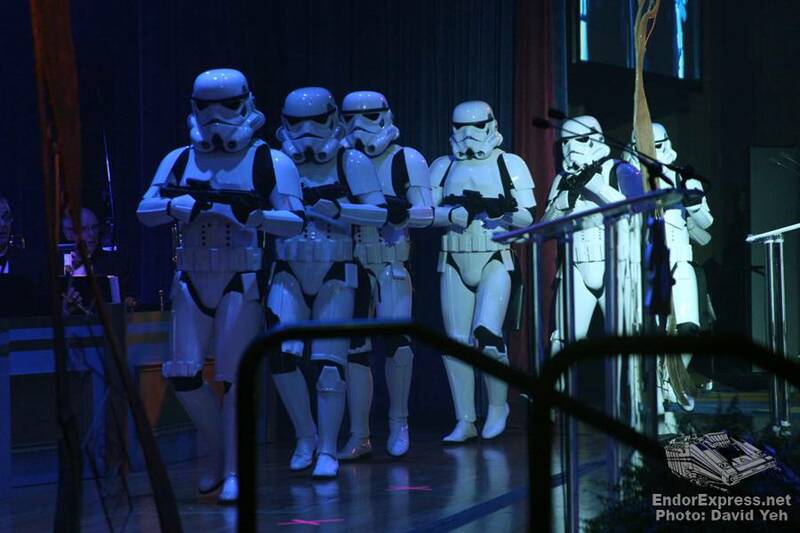 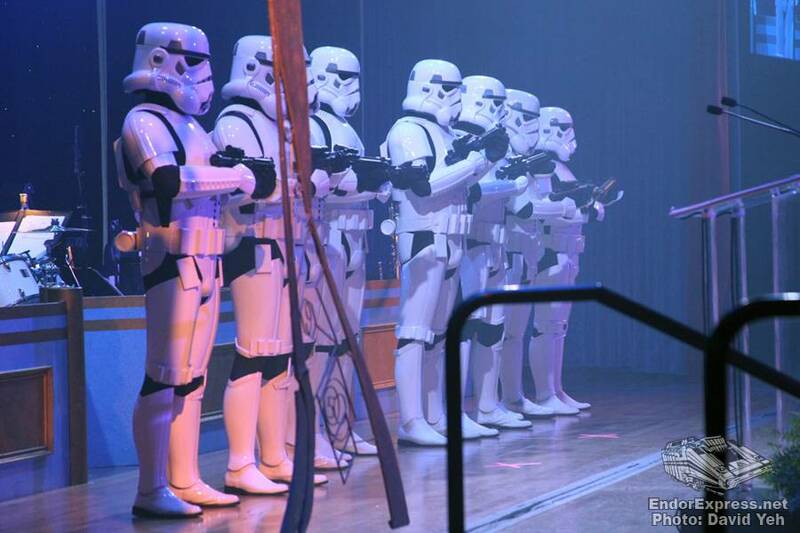 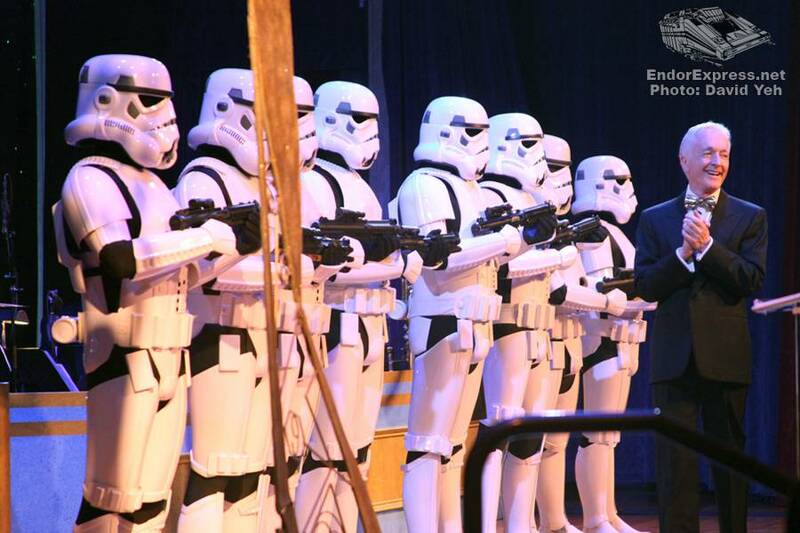 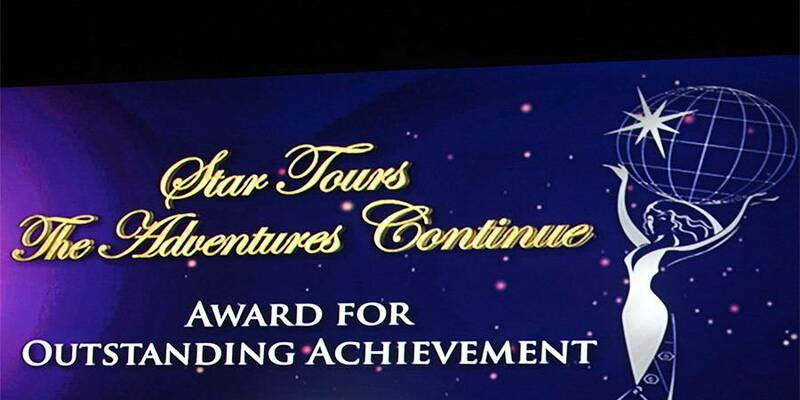 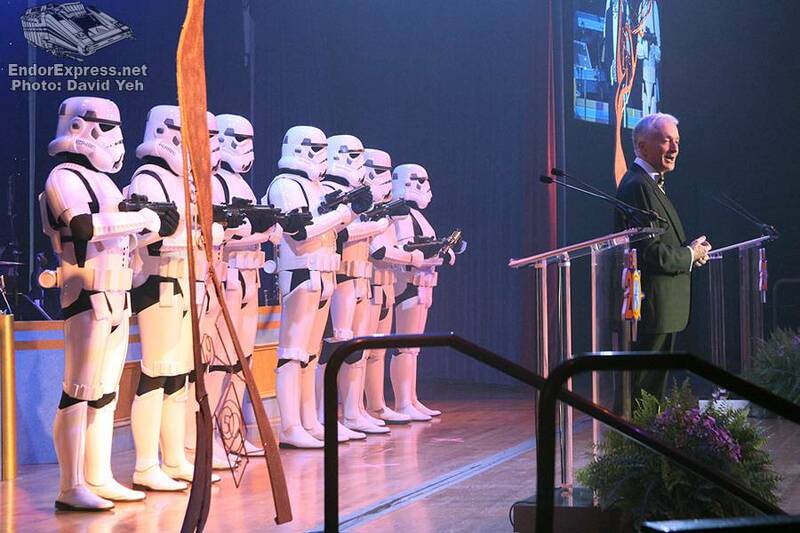 Congratulations to Star Tours – The Adventures Continue and to all of this year’s recipients of the THEA Award! 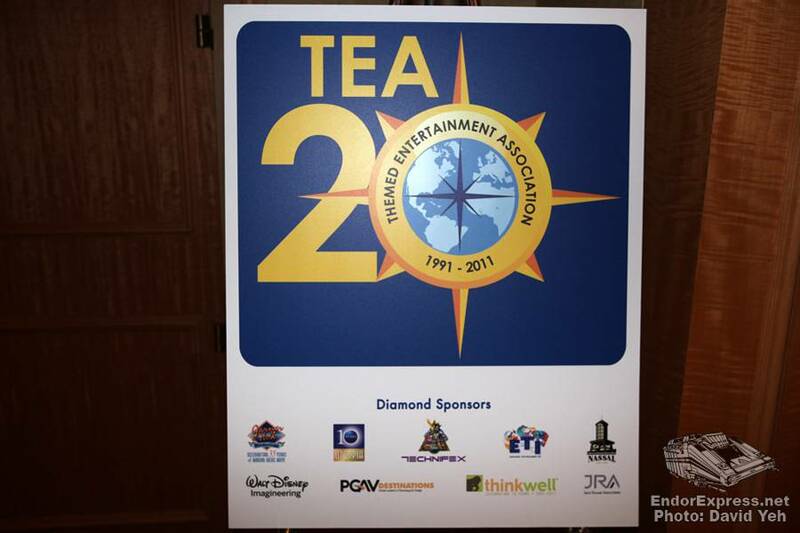 Many thanks to Gene of the TEA for extending the invitation for us to participate in this year’s festivities!